"Done at the city of Washington, this 27th day of September 1940"--P. 2. 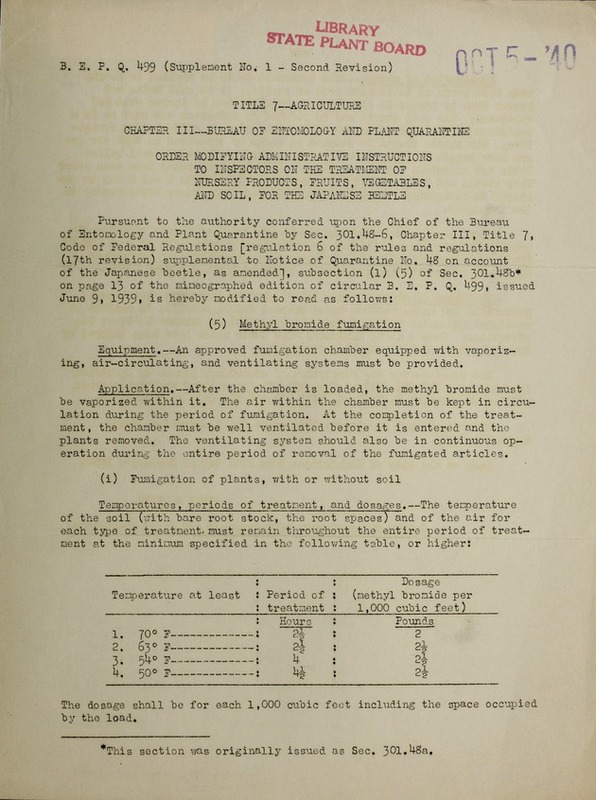 "Avery S. Hoyt, Acting Chief, Bureau of Entomology and Plant Quarantine"--P. 2.
ingaircirclatne, nd entiatig sstems must be provided. be vporied wthinit. he ar w thi te chamber must be kept in circu-. eraiondurng he ntie prio of removal of the fumigated articles. eefteh~~~~~~type ~ ~ -o ramn~sreantruhu he entire period of treat~. V ~ 2Ti, . ~%.' ,.i .i t . .